Albatros D.I - D.II conversion. 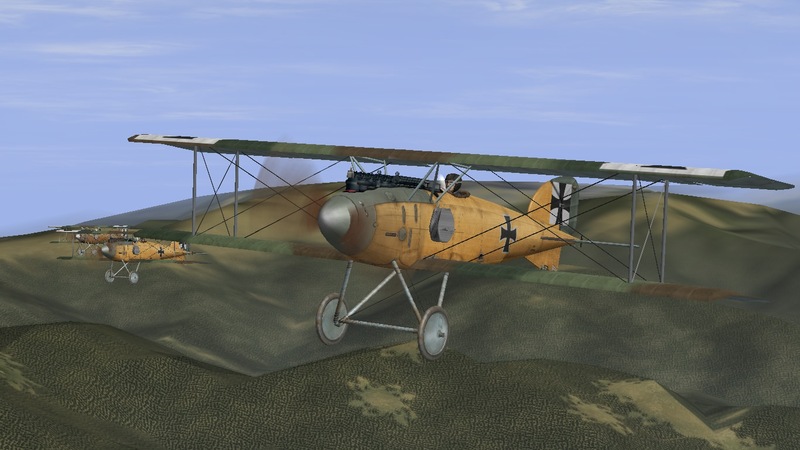 Topic: Albatros D.I - D.II conversion. My love of the Albatros keeps me in our beautiful D.I quite alot. While I was working on cockpit corrections to share, I was also building something for myself. I wanted a D.II, with its improved view. I decided that since the D.II was essentially a re-configuring of the D.I, It would be an easy adjustment. After lots of research, I settled on the early type, to eliminate the need for the upper wing radiator. This way, I could fly D.I's and experience the transition to the improved D.II's! Originally this was going to be for myself, but it turned out so nice that i want you all to enjoy it as well! As I had to re-position and adjust the entire wing assembly, there is a tiny distortion along the leading edge. It's almost un-noticeable, and certainly doesn't detract from the fun. I dearly hope, that the AMT Team and associated modders do not mind, I borrowed the Cabane struts from the D.III to convert this. ALL credit should be reserved for the original modders of the Albatros D.I and D.III, Magpie, Lisek, Kant, VPMedia, and many others. This is a simple Hier.him edit to convert the D.I to D.II(early) standard. Re: Albatros D.I - D.II conversion. Cool upgrade for one of my all time favorite WW1 aircraft. what exactly would be the conflict? Can´t both types of aircraft (D.1 and D.II ) share the same skies now? I need to do to all my skins. It´s no problem, I have upgraded alot of my skins in the past to fit better the new upgrades and 3d-fixes. Hi max! Thank you for your Interest! I am terribly sorry if I caused any confusion! This is not a new aircraft, but a simple conversion from the D.I style Cabane strut to the D.II style to improve visibility, with accompanying wing adjustments. As with the real machine, there has been no further change to airframe, powerplant, armament, or performance. I love the D.II and wanted to fly it for myself, so I made these changes on the Existing D.I that we have. 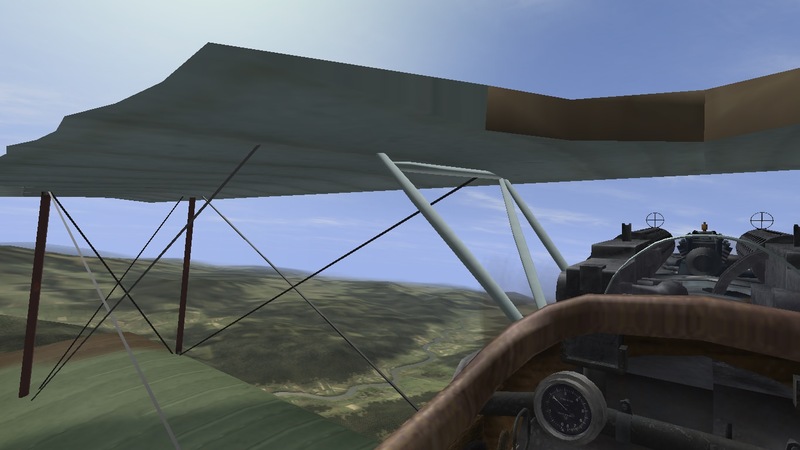 As it is, you will still select and fly the D.I in-game, but you will see a D.II with this small addition to your mod folder. No .ini changes needed. I also tried several existing D.I skins with no apparent issues so far. It looks good, and I managed to even clean up the chaos I caused in the cockpit when i moved the wing so it even looks good from there. Or good enough for me to enjoy! LOL So i decided to share it with you. To answer your original questions, as of now, there is no way to fly this next to the original D.I unless I missed something. You would need to disable this mod to get the D.I I know that sometimes, aircraft are made to look one way for one country and another for a different country, but I have not gone that far, nor indeed am i sure exactly how. 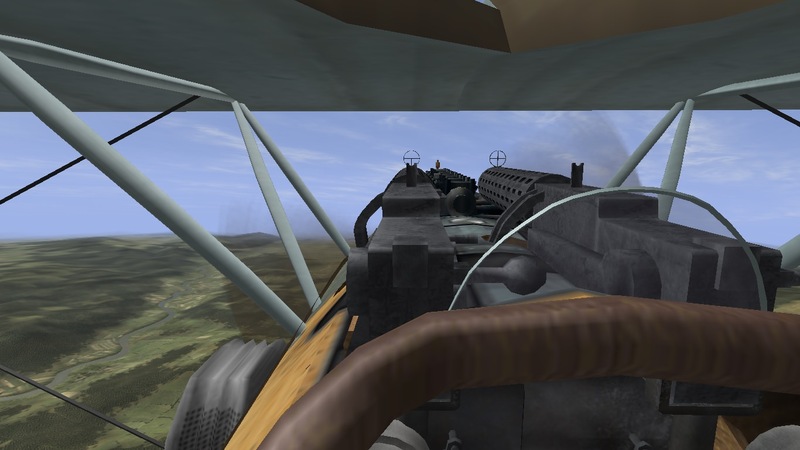 Additionaly the conflict I mentioned comes from the fact that the D.I Cockpit correction pack here: https://www.sas1946.com/main/index.php/topic,58815.0.html uses the original layout of cabane and wing struts, so when you run both side-by-side you see two sets of struts and wires. Its ugly... LOL Easiest is to disable whichever mod you arent using. So if you want to fly the D.I, you simply de-activate the D.II conversion kit and fly the D.I. I hope that this can be as fun for everyone to play with as it is for me against those pesky Airco DH.2s... which ever since the addition of the orient is red pack, have suddenly become formidable and enjoyable oponents! In Retrospect, This should have been posted to the 3D section to avoid confusion. This is completely my fault! If a kind Admin passing by would kindly move this to the correct section I'd be grateful! As for flying in the same sky, nothing would please me more than if some kind and interested party were to create a slot that could carry this! I'd be very proud! Even more-so if it wore one of your skins! Since it was originally for myself, the intention was that I would make a few personal missions, flying the D.I, and then i would switch to D.IIs by activating this little pack. For this reason I simply made the changes on the existing D.I. I just decided to share it for those out there who maybe, like me, preferred a change, or who wanted to fly a certain period, or pilot, but we had no D.II for them. We've been doing similar stuff at the same time! About a year ago I started to learn Gmax to be able to modify the Albatros D.I to a D.II, but I was doing updates on the Poland_1939 map and a Poland 1939 campaign at the same time, so not much happened until April this year when I picked up Gmax again. I also noticed some things to improve on the Albatros D.I, so I decided to that first and then continue with the D.II. Now when the small D.I improvements are done, I'll continue with the D.II. My aim is to create the D.II 3d model and also create a new slot for it. I haven't done that kind of modding before, but I hope I can do it with the help from those with more knowledge here at SAS. Great news! Looking forward to your work! Greetings to all lovers of Il2 Sturmovik, how long have I not flown. Fresco23 is a great idea for you, I am very flattered that my mods are used. I am dreaming of devoting time to this wonderful game, but very little time. Hello to all the authors of this modification. Vipmedia, you fervent greetings! Excellent to hear from you Kant! Hope life is treating you well.